Do we always need a CPU heatsink with a big 140mm fan to provide good cooling performance? The answer is no. It is true a larger fan will perform better, but in most cases, if you are looking for good cooling performance, the Justice RC-1204 is one that still delivers. I found it to be a decent CPU cooler that is worth recommending after a few days of using the Reeven Justice RC-1204. First, it is really quiet. It does not make any unpleasant noises at all. Even if you mount two fans on the heatsink, the noise level will not increase significantly with the right model. However, if you plan to use two fans, you may not be able to buy the exact same 12025 PWM fan as what is included in the Justice RC-1204 package, since it is not available from Reeven's website. To match with the stock fan, the best option is to buy a Coldwing 12 for your dual-fan setup. As for the heatsink itself, the thicker top fin and the arrangement of the heatpipes make the heatsink look really good in my opinion. The rest of the fins are firmly attached to the heatpipes, which indicates the build quality is exceptional. The copper base is plated with nickel to prevent oxidation. This product really shows Reeven pays attention to the details. The installation experience was quite good. The only thing is you need to have a long screw driver around to install the heatsink, since only the wrench is provided in the package. Last but not least, due to the optimized structure design, the heatsink causes no interference with the RAM. This feature is important if you do not want your RGB RAM to be blocked by anything else in the computer case. At press time, the Justice RC-1204 has a $45 USD price tag, which is quite reasonable. 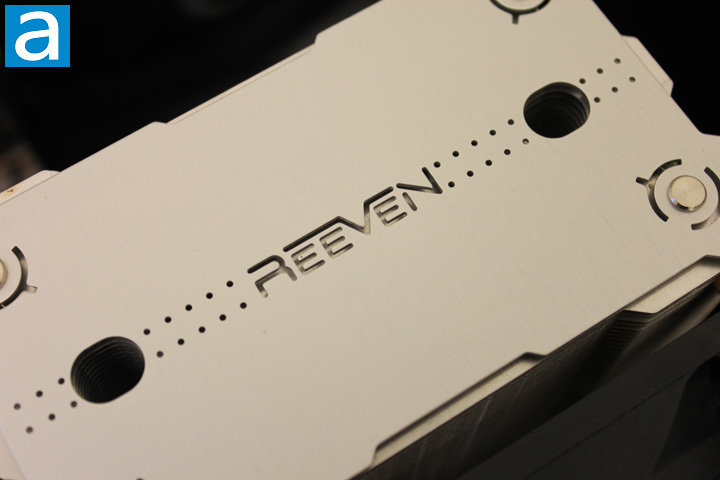 If you like the style and the price is agreeable, the Reeven Justice RC-1204 is a solid heatsink choice. Do you have any comments or questions about the Reeven Justice RC-1204? Drop by our Forums. Registration is free, and it only takes a minute! posted 10 hours and 47 minutes ago, with 11 posts. posted 13 hours and 2 minutes ago, with 8 posts. posted 21 hours and 38 minutes ago, with 2 posts.